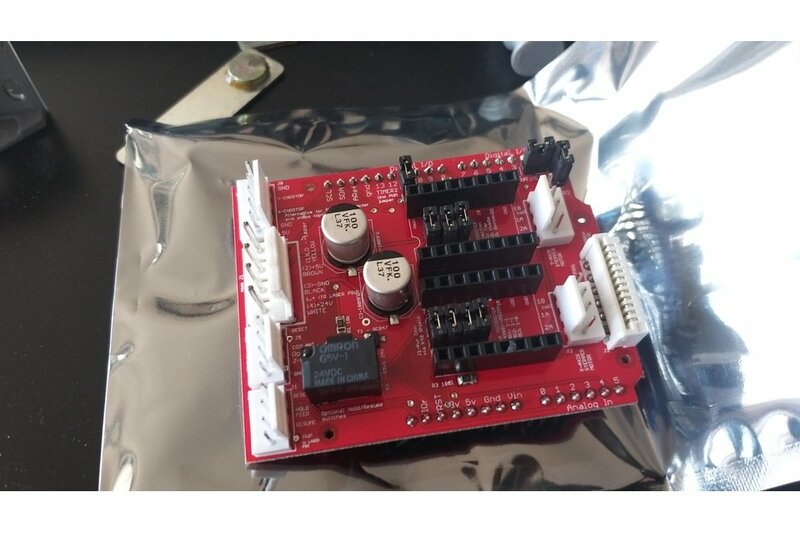 This is a simple, fully assembled Grbl 2 Axis shield to drive a plotter or laser X-Y gantry via an Arduino R3 or R4 (jumpers). Schematics will be included when you buy this shield. 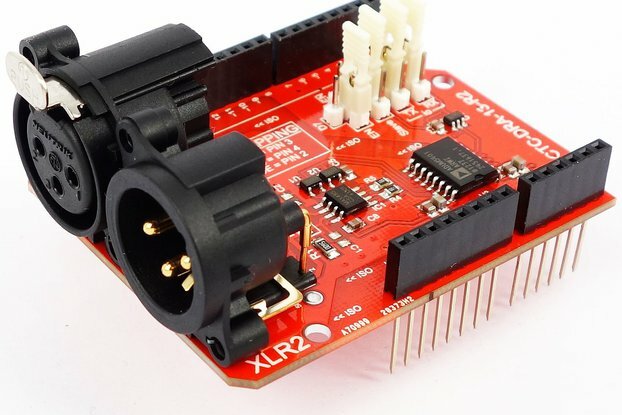 Just click on an Arduino and upload Grbl or use a more advanced Arduino derivative to get more features. Add two step sticks (A4988) or use your own. PWM is broken out from three Arduino pins (R3 is default Timer2, R4 allows Timer3/4). 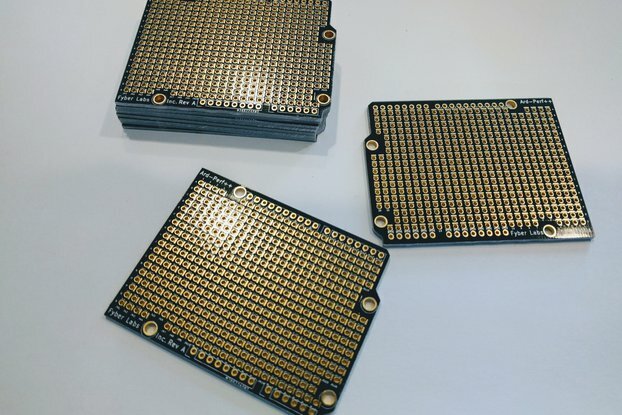 The board is professionally produced and fully SMD assembled by PCBways in China. I needed a shield for my K40 laser to replace the stock controller. These shields are now depreciated and replaced with a new product. However it would be a shame to let them gather dust or throw them in the bin, so why not make something with it? The low price, below cost price! I have a few of these shields left from my previous Kickstarter, so be fast to grab them before they are gone forever.